Hive Publishing Company – The new way to publish. 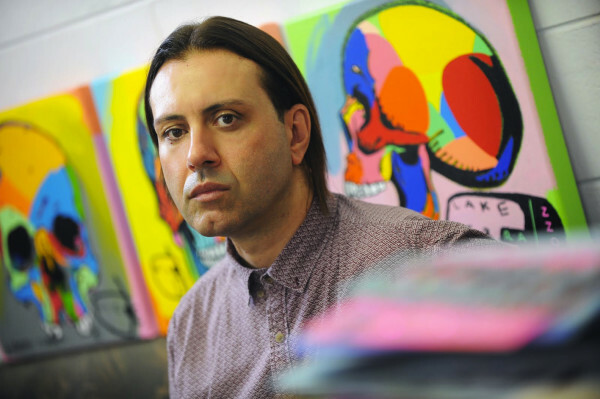 For the last 10 years, internationally acclaimed Australian painter Johnny Romeo has been one of the most exciting and dynamic voices in the contemporary world of Pop Art. 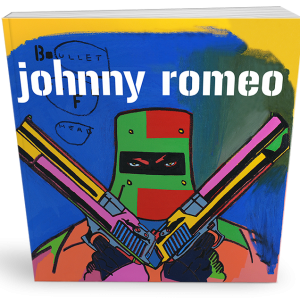 Romeo’s latest book, Plastic Fantastic: A Survey Of Paintings, 2007 - 2017 takes a look back at the artist’s illustrious career over the last decade, charting Romeo’s trajectory from rambunctious punk-pop misfit to the Neo-Expressionist Pop juggernaut he is today. 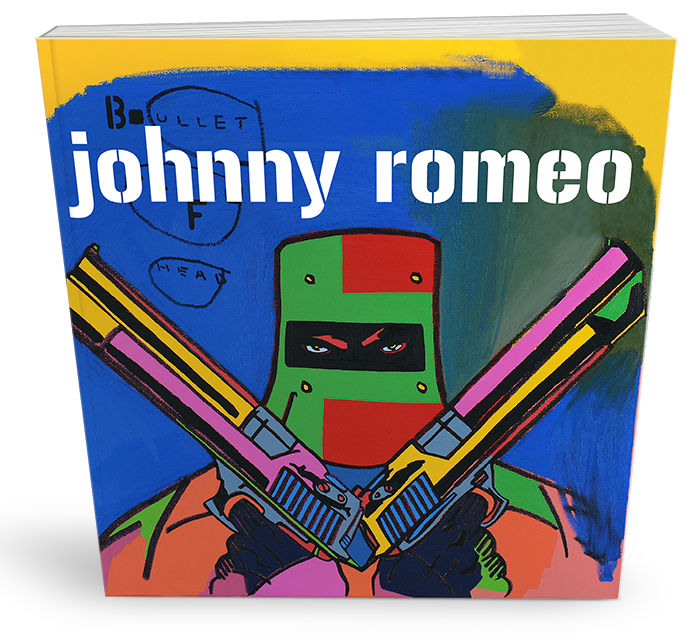 Johnny Romeo is an internationally acclaimed Australian pop painter whose energetic appropriation of comic book aesthetics and pop culture is capturing attention worldwide. With GQ Magazine describing his art as ‘part punk, part pop’, he draws inspiration from neo-Expressionism, rock’n’roll, graffiti art and Pop art. Johnny Romeo’s work critiques the madness of a modern world driven by pervasive advertising, hollow materialism and wasteful excess, exploring the way in which we construct our identities through the idolisation of pop culture and brand-name heroes. Romeo is represented by many of Australia’s top galleries with a number of sell-out exhibitions across Sydney, Perth, the Gold Coast, Alice Springs, Darwin and New Zealand. His work has also caught the attention of publications such as the Sydney Morning Herald, GQ Style Australia, Vogue, Grazia and the Australian Art Review, as well as the ABC 7:30 Report, SBS and Foxtel Australian arts channel STVDIO. His recent work was included in the 2012 Urban Pop Survey in Los Angeles, and there are three major US exhibitions planned for 2013 in addition to a series of commissions by LA County which will see the artist become the first non-US based artist to incorporate his work into transportation projects throughout Los Angeles. Romeo recently completed a collaborative work with world-renowned punk band Blink-182.